Welcome back for another craft of the month here on Simple Steady Home. I hope that you are enjoying the start of the spring weather that we are currently having here. This month’s craft of the month was inspired by my two busy boys and more importantly their complete lack of self control. My trips to the grocery store the last few weeks have become a dreaded event. The boys seem to fight with one another over nothing at all, literally it’s just to make noise in the store. It is embarrassing and frustrating. Especially, since once we exit the store, the two of them act as though nothing has happened at all. It’s already forgotten for them! The frustration of those shopping experiences is what led to the need of a distraction for each of them while we are shopping. I knew it had to be something to occupy them more than it would require concentration from myself. So, why not give them a mini-grocery list that would occupy them to focus on something in the store. 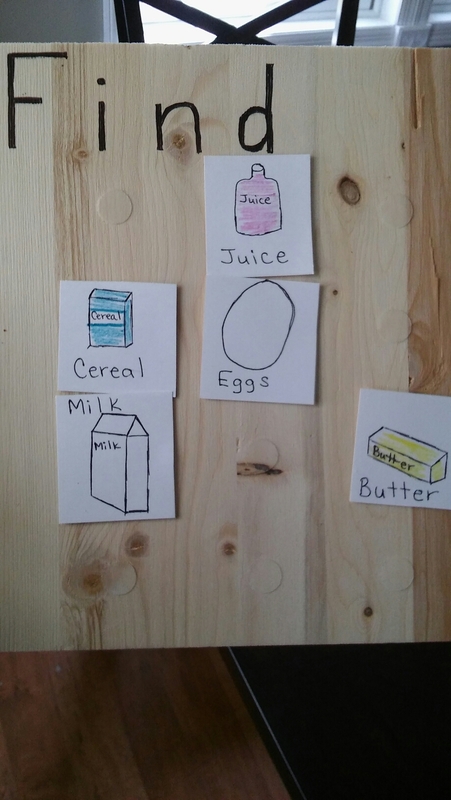 A grocery list of hide and seek items that they were responsible for reminding mom to add to the cart. Don’t worry I have those same items on my list too so I won’t be forgetting the eggs. I took some spare pieces of wood left over from Sir Swine’s latest wood project and cleaned them up nicely. I even went over them with a rag to make sure all the extra sawdust was off of them. 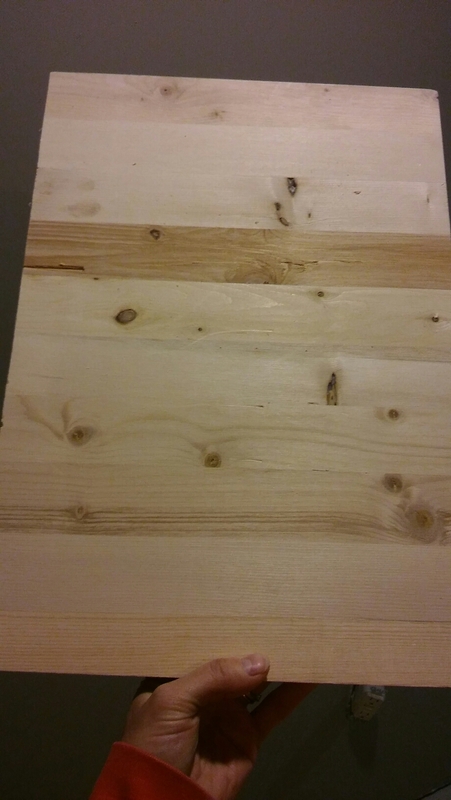 I chose this wood as it is durable and sturdy. Tag Along is only two years old so I knew it needed to withstand his age level. Spare wood I decided to use. I then purchased some Velcro dots. Simple right! You can find them at Wal-Mart in the sewing section. They come in various sizes. I chose this pack so that I would have plenty to use and spares for when the boys lose pieces. This packet was $4.77 so not bad considering I only used half them to create these. 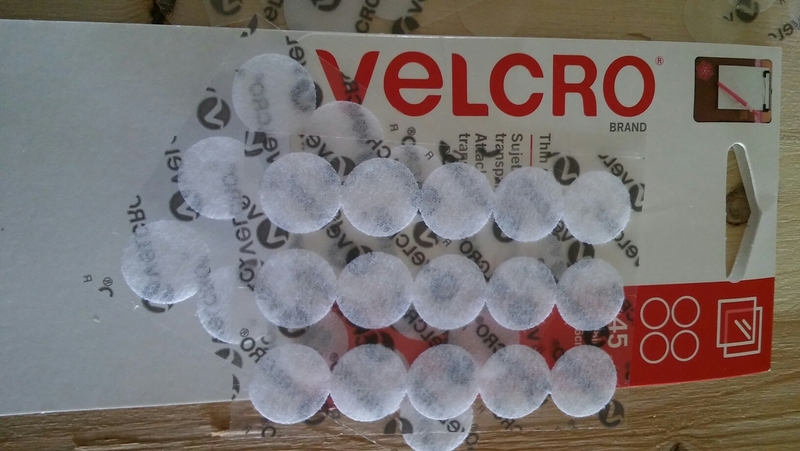 The Velcro dots come with their own adhesive on them. All I did was peel and place them as evenly as I could without measuring. Look closely and you can see my circles in four by four lines. This is a very easy project. In fact if you have kids aside from cutting their base (you could use cardstock or tag board as well) they can make it themselves. I placed the opposite side of Velcro on the back of the cardstock picture. And that is it! 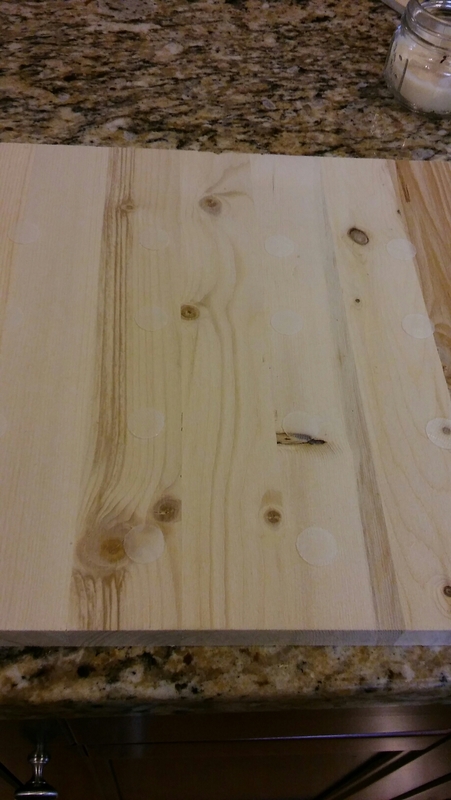 The last thing I did was add additional adhesive Velcro dots to the BACK of the boards. That way as we are shopping once an item is added the kids can remove it from the front and place it on the back of their board. This is also a section where I can store more items that we may not be purchasing today. 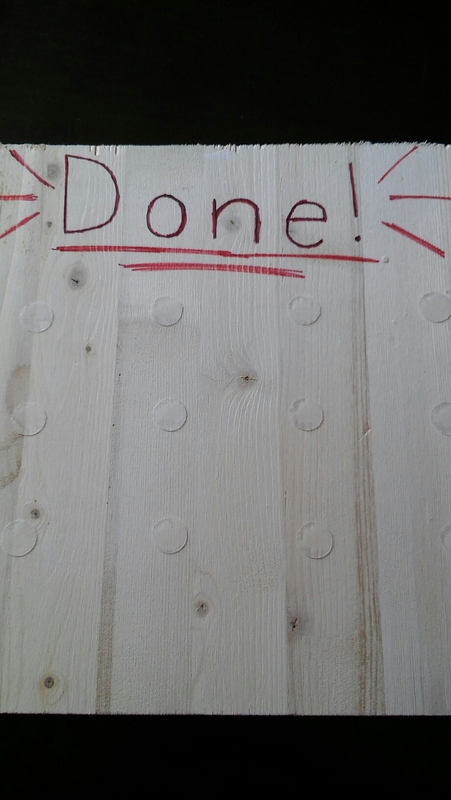 This project proved to be very simple and super kid friendly. Now go get started on yours, once you gather your materials you will be done in such a short amount of time you will need to go shopping to try them out too. Enjoy! Wishing you well planned and quiet grocery trips. Here are a variety of pictures that may come in useful to you for your grocery items.